Teddy Abrams, music director of the Britt Orchestra and a world renowned composer, pianist and clarinetist, will conduct The Britt Orchestra this season (July 25 to Aug. 11) in Jacksonville. This is the second of a two-part column. The first was published on May 26. EH: How does music influence politics? TA: It’s one of those questions of whether art imitates life or vice versa. You look at eras of American history and you see remarkable relationships between history and music, or politics and music — even beyond that, sociology and music. The defining characteristics of a lot of cultures are in fact their music making and their cultural output – those are binding elements. Music is a way of conveying essential information, a way of defining identity. Especially in America, where our music comes from so many different places. We’ve often used it in ways to help us sort out our identities — and we see that over and over. Jazz is one of the great examples of a music that is built on many different influences. But it’s this ultimately defining African-American music that could only exist (here), given the political circumstances of America. And that continues to this day. Composer Joby Talbot will be performing his original score for the silent film “The Dying Swan” Saturday, April 14, at the Music Recital Hall at Southern Oregon University as part of the Ashland Independent Film Festival. Coincidentally, the Royal Ballet’s “The Winter’s Tale” (composed by Talbot) is being shown during the London Live series at the Varsity Theatre in Ashland April 8 and 9. Talbot’s résumé includes contemporary classical pieces and film and television scores. He composed motion picture scores for “The Hitchhiker’s Guide to the Galaxy” and for the animated film “Sing.” As an arranger, he has worked with numerous contemporary musicians, including Paul McCartney and Tom Jones. EH: Some of your scores are enormously complicated. How do you get started? EH: Our readers are interested in the dynamics of theater families. Does being in theater enhance family life? MT: My family and my choice of career are intrinsically intertwined. My parents were in show business. Our family friends were funny vibrant people who interacted with me as an equal. There never was this W.C. Fields, “Go away kid, you bother me,” thing. They were just great alive people. I was surrounded by wonderful people. Do you remember Minnie Pearl with her straw hat and a price tag on it? I was on a talk-show with her in L.A. (I signed with Reprise Records when I was seventeen.) We were in the green room, and she said to me, “Do you mind if I give you give you some advice? Stay close to your family. In this business, it’s so easy to go wandering off. Stay close to your family.” I’ve remembered that for some 40 years. A lot of the qualities the bonds, the loyalty, the responsibilities, and the camaraderie that make a great society are inherent in embryo in the family, which extends to theater. That’s what makes a great theatrical experience, for the audience especially, when they sense that embrace within the cast members. When I became a father trying to keep a family together was interesting while doing the theatrical thing. It becomes a very, I’d hate to say, self-centered existence; but it requires that sort of intense focus. As Jack Sheldon said, “The whole day is just preparation for the stage that night. I just put up with it, so that I can get on that stage.” It sort of requires that intense focus. And if you have a partner who doesn’t understand that, and wants your attention, and makes claims on your time (and it isn’t just the time, it’s the concentration), you arrive at the theater scattered. When you have time at the theater, you can sort-of rein-in what has run amok during the day. But it’s certainly easier when you can focus on what you have to do. When children are involved, the children can keep you occupied and away from memorizing your lines, but that’s a benign distraction. It feeds into the goodness of what can happen on the stage that night. It’s seemingly chaotic, but there is something about it that is heart centered, and one is able to refocus from that. Things that are mind-centered, or that are tearing at your ego, or create chaos in your mind, are hard to reign-in. Children can wear you out physically, but that is all of a joy, and can lead to a good thing on stage. Financially, that’s another question, the breadwinner aspect, to make enough money in the theater to keep a family; that becomes wearing too. There are as many situations as there are theatrical families. EH: The whole aspect of family and theater takes a lot of flexibility and sacrifice, but then you give them the gift of talent and your work? MT: My children grew up, as I did, in interesting households surrounded by people who encouraged individuality. So they have grown-up as distinct individuals. Another secret of family life: parents learn from their children. As Gary Snyder said, “It’s like having this little 2-year-old Zen Master strolling around the house.” It’s really true, there’s so much to learn; it goes both ways. All we can do for our children, really, is to instill character and ultimately let them make their choices from their own hearts and minds. 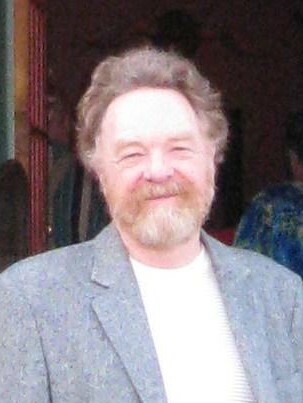 Mark Turnbull has had a long and fruitful career in music and theater. When he was 17 he signed with Reprise Records with his recording, “Portrait of the Young Artist.” His music has been described as folk-jazz, which he depicts as “a cross between Burl Ives and Thelonious Monk.” Last fall Mark played Dog Kelly in his own musical, “Tales of Fannie Kennan Better Known as Dora Hand,” at the Oregon Stage Works. EH: You’ve spent almost your entire life in music and theater. Is there any time that you did anything else? MT: There were two years when I was seven and eight, when I was in little league. I put down the ukulele for two years.